Personalise the front with any name up to 15 characters and any message on the reverse over 4 lines up to 25 characters per line. 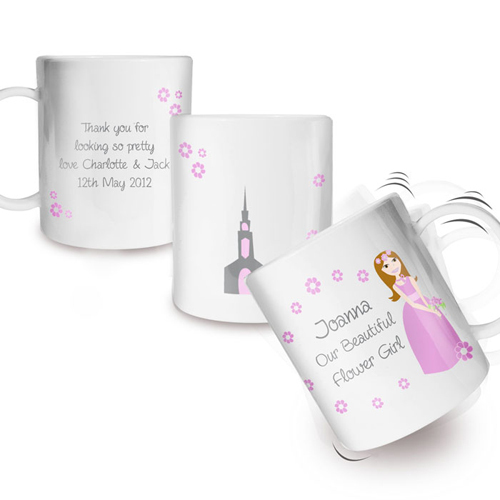 The wording 'Our Beautiful Flower girl' on the front is fixed text. Ideal for Wedding Thank You gifts.